Cheat clean with this delicious dessert! 1. 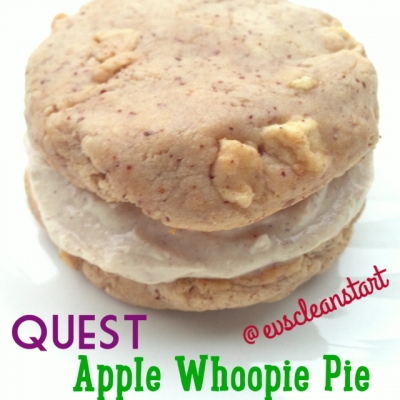 Cut an apple pie quest bar in half and microwave for 10 seconds. 3. Filling - combine 1 tbsp greek yogurt with 1 tsp natural peanut butter, a few drops stevia, and sprinkle of cinnamon.